Homes for sale in the Four 'O Clock subdivision include gorgeous ski-in, ski-out properties in one of Breckenridge's most prestigious locales. These incredible luxurious residences are tucked at the base of Peak 9, giving them an unmatched advantage in terms of location as well. With 38 homesites in total, this is a single family home community up on top of Ski Hill Rd and close to Boulder Ridge. At the forefront of the upscale, large-scale Breckenridge real estate market, homes in the Four O'Clock subdivision are beautifully finished inside and out. 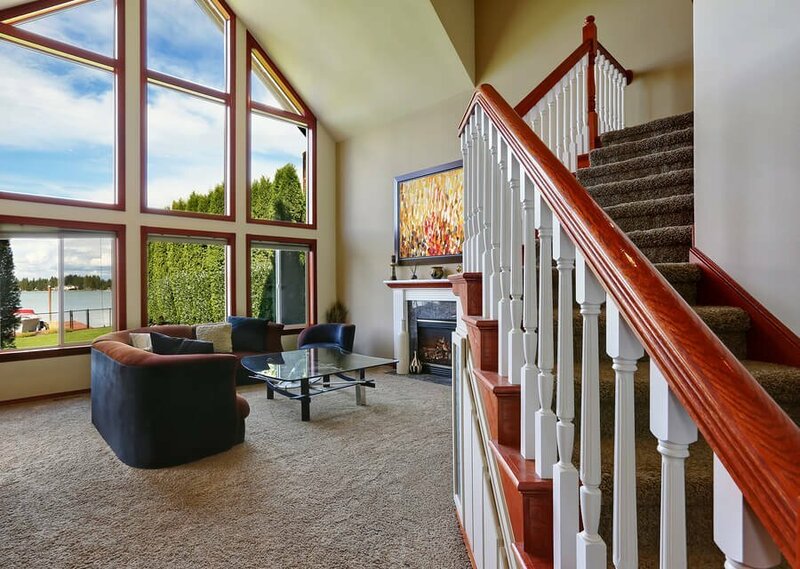 If you dream of a fully appointed, stately home in the mountains when you think of optimal Summit County living, this esteemed community will suit you perfectly. Explore the latest Four O'Clock subdivision homes for sale in the listings below, or continue reading about Four O'Clock subdivision real estate in Breckenridge CO! See Real Estate Listings For Four O'Clock Subdivision Before Your Competition! Four O'Clock real estate in Breckenridge is highly sought after, and for good reason. The community's single-family homes are impeccably elegant, sparing no plush detail. 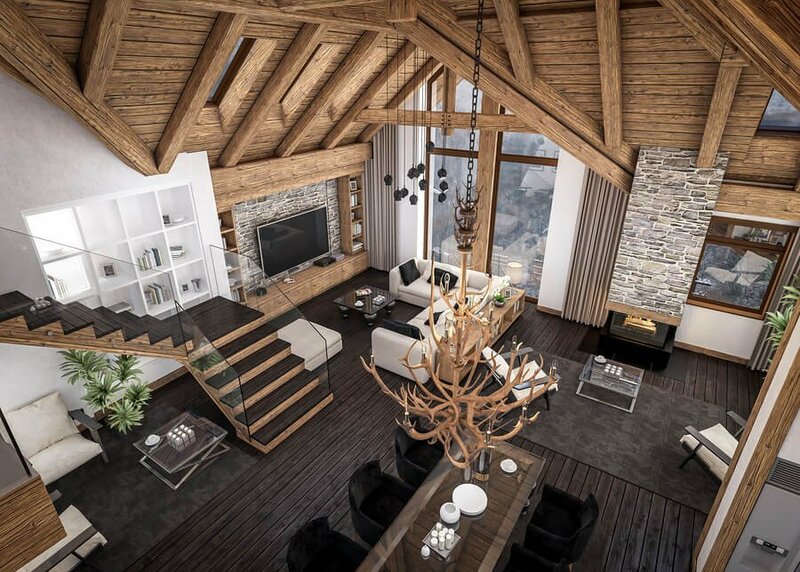 Outside, they showcase the best elements of alpine architecture and luxury real estate. You can expect stately presentations, large A-frames supplemented by sweeping windows and expansive wrap-around porches meet distinguished pillars and naturally inspired wooded landscaping with rock features and long driveways. Homes at Four O'Clock are often highly custom, with extensive square footage and chalet-style features. Full-fledged mansions with authentic mountain craftsmanship, these sophisticated homes represent the pinnacle of Breckenridge living. The interiors of Four O'Clock subdivision homes are no less spectacular. Within them, you'll find amazing spaces with soaring vaulted ceilings, stately great rooms with stacked stone fireplaces, and gourmet quality dining areas and kitchens. Relax in a setting that includes cozy loft bedrooms, hot tubs, and 3 car garages. These homes truly have everything you could want in a high-end lodge, all within the privacy of your own exclusive home. Directly on the slopes at our world class ski resort, Four O'Clock has some of the most coveted real estate in all of Breckenridge. Here, you're free to ski home for lunch or simply to change your googles. The neighborhood is just above the Peak 8 base area where the new gondola drops off. Peak 8 offers the terrain park, new shops and restaurants and access to two of the fastest chair lifts worldwide! Everything you can dream about in a ski home will be found right at your door step; come and see for yourself why the Four O'Clock subdivision in Breckenridge is so special! Contact The Amon Team and receive expert advice for your Summit County real estate search. Find a gorgeous home in the sought-after Four O'Clock subdivision or one of Breckenridge's other amazing luxury slopeside communities.